As two filmmakers from New Zealand set out in August 2009 to find the fabled and feared Mongolian Death Worm, here's a look at 10 creatures that have eluded even the most determined of hunters. From the black-and-white creepiness of early silent films to the campy kitsch of television series today, these bloodsuckers are so diffuse in popular culture that they might as well be real. 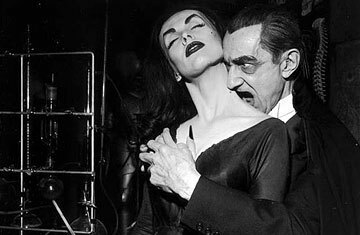 Of course, the most famous vampire of all remains Bram Stoker's Dracula, the shadowy, insidious Transylvanian count all too fond of necking. Stoker apparently developed the story of Count Dracula after a chance meeting with a 19th century Hungarian writer and traveler. Ármin Vámbéry was famed for his journeys dressed in native garb throughout the Middle East and Central Asia. But he also chronicled the dark tales and superstitions kept alive in the Balkan valleys closer to his home in Hungary. The legend of Dracula likely emerged from Vámbéry's wanderings by the Carpathian mountains, hiking across stark terrain and hearing from local gypsies the secrets of the land's often gruesome histories.